Fortnite’s map saw plenty of updates when season four crashed down last week. From the enormous crater that’s opened up around Dusty Divot to the hidden superhero bases nestled within seemingly-innocuous houses, there’s plenty of new stuff to discover. But while Epic are happy to let you into most of their new locations, there’s something they’re still keeping secret. Fortnite’s evolving world makes it the king of battle royale. 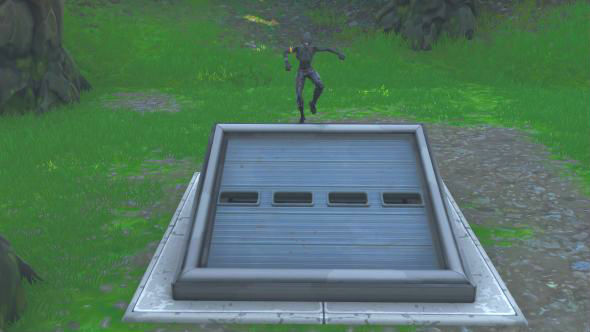 Players have discovered a mysterious hatch within Wailing Woods, in the North-East corner of the map. The hatch, which looks like a large garage door embedded in the floor, offers no clues as to its purpose. It’s indestructible, and the only thing you can glean by using the replay tool to look inside it is that the hatch is currently home to a great big slab of concrete. 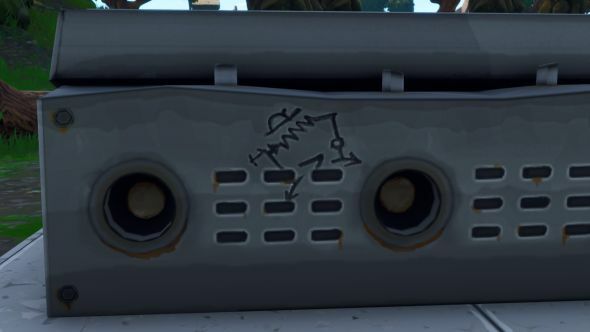 More interestingly, however, on the back of the hatch is a hastily-scrawled piece of graffiti (which you can see up close below). That’s obviously a hint towards something, but it’s cryptic to the point where I couldn’t even begin to tell you what it means. What players have picked up on, however, is the very obvious link to TV show Lost, a central plot of which centred around a mysterious hatch in the centre of the island. I wouldn’t be surprised if this turned out to be the start of another season-long mystery event, akin to season three’s comet. Epic have been hiding missile silos and secret bases underground since the beginning of season four, so it wouldn’t surprise me if they were part of some longer-term game event.